Recipe courtesy of Dairy Farmers of Canada. In skillet, melt butter over high heat, and sauté onion and garlic 2 minutes. Add spinach, stir well and cook 1 more minute. Stir in stuffing mix, turkey and tomato juice. Remove from heat. 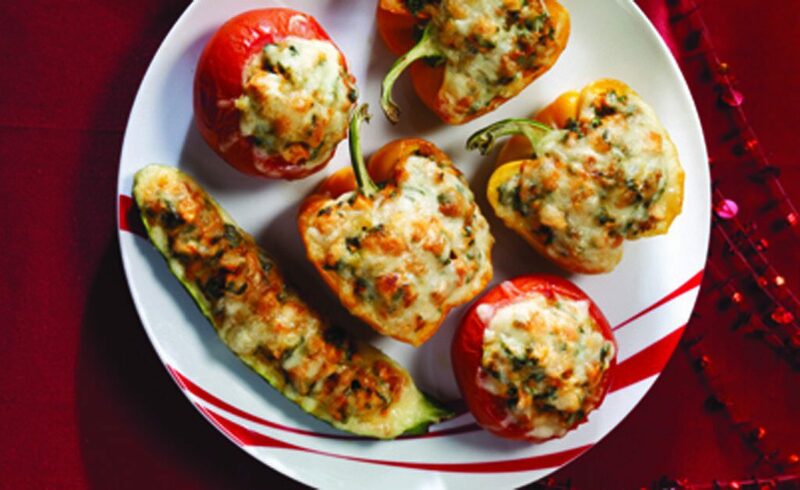 Arrange tomatoes (peppers or zucchinis) in an ovenproof plate. Distribute mixture evenly inside vegetables. Sprinkle with Mozzarella and bake 20 minutes.